Lock in a great price for Sky19 Hotel – rated 8.6 by recent guests! The location will always remain the key feature of this hotel. The room is very spacious with comfortable beds. We got lucky and got a room with a view of the Taipei 101. The room is really big and all the facilities are nice. 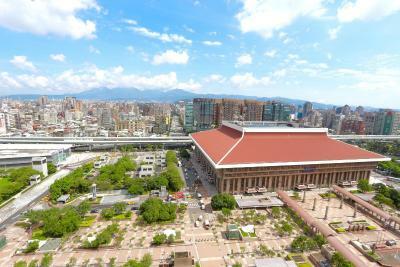 The location is directly next to the Taipei main train station. The staff are friendly as well. A perfect place with reasonable price! We really enjoy the time stay here! The hotel is right at the MRT Exit. Room is spacious, nice and clean. Good price for a quality room to spend on your holiday. Very good location. Friendly staff. Beautifull view. Staffs were kind. Room was clean and comfort. Location was amazing! Near from Taipei main station (MRT, Airport train, THSR). Near from Ximending. Transfer station of MRT. Very big room, clean, comfortable. Right across from the train station. Staff was polite and helpful. Kitchen available with microwave and dishware to use. I really liked the hotel stuff they were very friendly and nice! Sky19 Hotel is located in Taipei, 1,300 feet from Taipei Bus Station. Attractively located in the Zhongzheng District district, the property is set a 9-minute walk from Presidential Office Building and 0.6 mi from SPOT - Taipei Film House. The accommodations provides a 24-hour front desk, a shared kitchen and organizing tours for guests. The rooms in the hotel are equipped with a flat-screen TV. Rooms are complete with a private bathroom, while certain units at Sky19 Hotel also boast a terrace. All rooms will provide guests with a fridge. Portable WiFi device can be rented for your convenience. 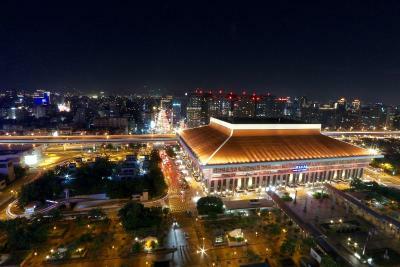 Popular points of interest near the accommodations include The Red House, Ningxia Night Market and Bopiliao Old Street. 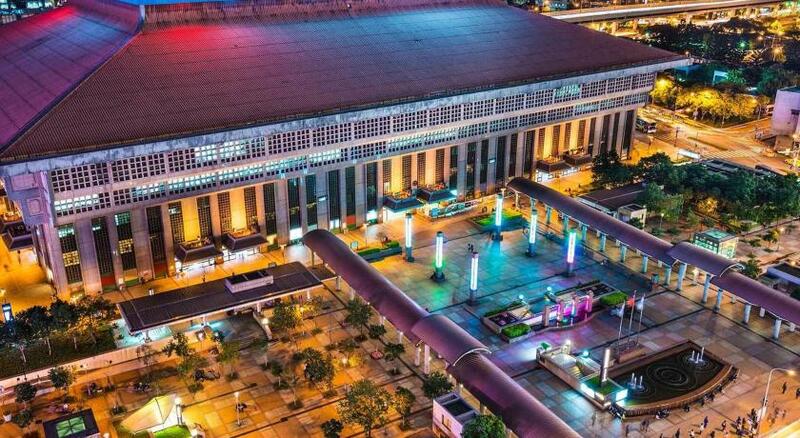 The nearest airport is Taipei Songshan Airport, 2.5 mi from the property. 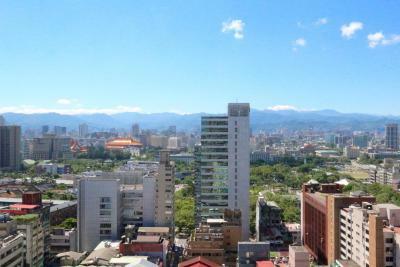 This property also has one of the top-rated locations in Taipei! Guests are happier about it compared to other properties in the area. When would you like to stay at Sky19 Hotel? This triple room features a balcony, sofa and air conditioning. Hotel surroundings – This neighborhood is a great choice for travelers interested in friendly locals, street food and culture – Check location Excellent location – show map Guests loved walking around the neighborhood! House Rules Sky19 Hotel takes special requests – add in the next step! Sky19 Hotel accepts these cards and reserves the right to temporarily hold an amount prior to arrival. The breakfast was provided in an off-site restaurant from 07:00-10:00. The bathroom is out of date and need to remodel it. Hard bed, toilet clogged up and maintenance said toilet paper should not be flushed in it (put in trash can instead). Could hear voices in next room. And room was advertised as having a balcony, but it was really more of a large enclosed ledge overlooking the skyscraper next door. Little natural light. No screens on windows. Also very hard to find the hotel, it’s on the 19th floor of a commercial office building, absolutely no sign of it from the street. You just have to keep asking people where it is! Easy to get around Taipei City as it's right beside Taipei main station. The staff are very responsive in receiving the luggage sent through takubin. False Fire alarm which it took quite a while to switch off. The bathroom is a bit dated compared to the renovated interioir of the room. Rooms aren't fully soundproofed. there was no signage of the hotel name. i almost got lost. Excellent location just across Taipei station. The room was clean, friendly employee and it exceeded my expectation. Great place to start your Taiwanese experience. The entrance which has no signage at all as this hotel is located on the 19th floor of a commercial building which only occupied one level and not the whole building as it was shown in the picture. You have to ask for the actual entrance because it was not stated name of the building. The entrance is just next to Family Mart.